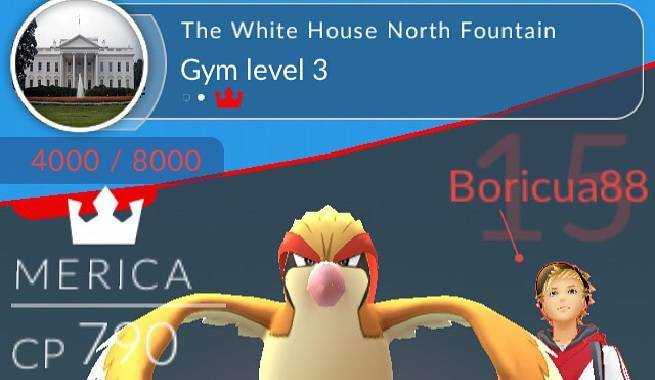 The White House's Pokemon GO Gym Is Controlled by a Pokemon Named "Merica"
Like many famous landmarks, the White House is the site for a Pokemon gym in Pokemon GO. And now, thanks to an inventive Pokemon trainer, the White House has a proper Pokemon guardian. Meet "Merica", a powerful Pidgeot and the new master of the White House gym. Judging by Merica's face, it means business and probably won't hesitate to deliver a hefty dose of red, white and blue freedom against anyone who tries to invade the White House. 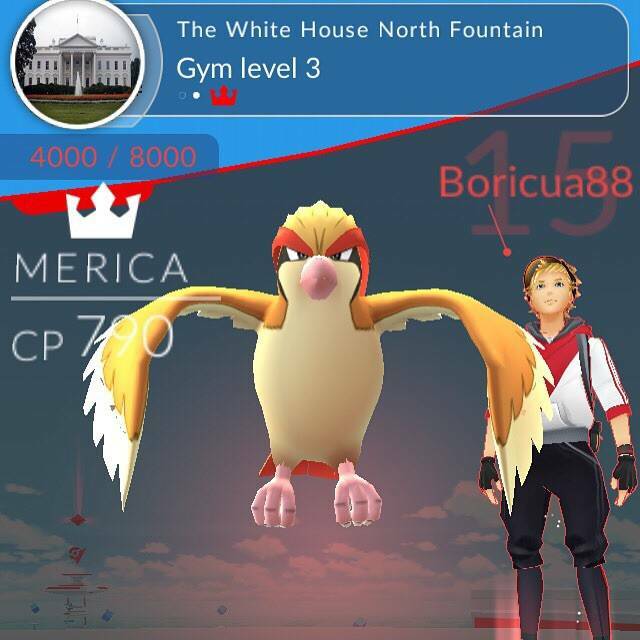 Merica's owner, Boricua88, took control of the White House earlier this afternoon and posted a picture of his patriotic Pokemon to Reddit and Imgur. In typical fashion, the comments were filled with plenty of snark. One redditor posted that his new goal was to take over the White House and name his guardian Pokemon "Thanks Obama", while others made jokes about British Pokemon GO users winning the White House with Fire Pokemon (a reference to the White House's destruction during the War of 1812 by British forces). Since the White House is a popular landmark, we're sure that Merica won't stay in control of the White House for long. Let's just hope his successor is equally patriotic.